A 10,000 square metre parcel of land located within one of Melbourne’s most significant masterplanned communities, Williams Landing, has been listed for sale. The site has been suggested as an ideal location for a retirement development due to its proximity to the community amenities and size of the property. “This site is ideally situated to accommodate a medical, aged care, retirement living or social and health services development, with the property large enough to feature a mixture of these uses,” CBRE's Mr Campbell said. Mr Campbell said Melbourne’s south-west was earmarked for considerable growth over the next two decades, which was also likely to be a major draw card. Based on Census data, the City of Wyndham is forecast for significant growth in the over-65 age cohort compared to the rest of Victoria. “This will fuel strong demand seniors living in this locality,” said Mr Campbell. The two lots are strategically located in the heart of the proposed Williams Landing Town Centre in Melbourne’s expansive south-western growth corridor. 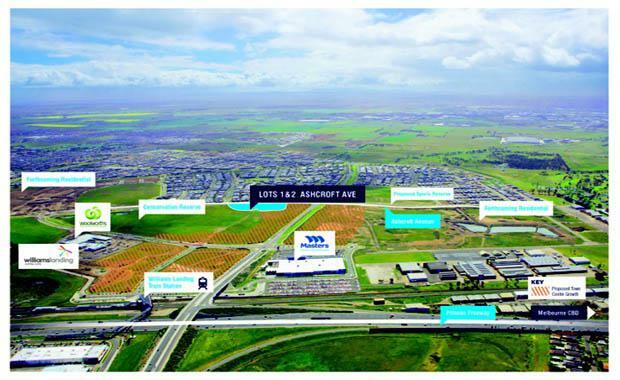 The property, which is included in a Priority Development Zone, has 222 metres of primary frontage and a close proximity to significant infrastructure including the new Williams Landing Railway Station and freeway interchange. The site is also set to capitalise on the suburb’s rapidly growing residential base of more than 3 900 proposed dwellings. Williams Landing is located approximately 19km from Melbourne’s CBD, within Australia’s fastest growing municipality of Wyndham. CBRE’s Scott Orchard and Jamus Campbell, in conjunction with JLL’s Noral Rich and Simon Quinn, have been appointed to sell the holding on behalf of vendor Cedar Woods via an Expressions of Interest campaign.